Armed Forces Tickets Association-Cincinnati was created to show appreciation to our active Armed Forces, Guard and Reserves men, women and their families by making available free or deeply discounted event tickets by partnering with Arts, Entertainment and Sports organizations. Sign up for your tickets today. Last Sunday they gave away tickets to the REDS. This Monday, August 20th, when you visit Outback Steakhouse and mention Ryan Newman you will receive a FREE* Bloomin' Onion with any purchase. *Offer valid with any purchase. One per table. Offer subject to change. Prices and participation may vary. The Ryan Newman®, Stewart-Haas Racing™ and #39™ are trademarks of Stewart-Haas Racing and are used under license. Outback and the Outback logo ©2012 BLOOMIN BRANDS, INC.
Pillsbury is now offering a new coupon to save $0.40 off any two Sweet Rolls or Grands! Sweet Rolls! These are perfect for an after dinner treat. The warm sweetness is irresistible! Check out these new coupons for Skippy Natural Peanut Butter Spread! Click the link for a coupon to save $0.35 off one and if you scroll down, you'll also have access to a coupon for $0.75 off two and $1.00 off three Skippy Natural Peanut Butter Spreads! Are you getting the great photo deals at Walgreens this week? A new deal every day until Sat. Ryan Newman is bringin’ home the onions! Thanks to his 6th place finish, you get a FREE Bloomin' Onion with any purchase tomorrow 8/6 just mention Ryan Newman. 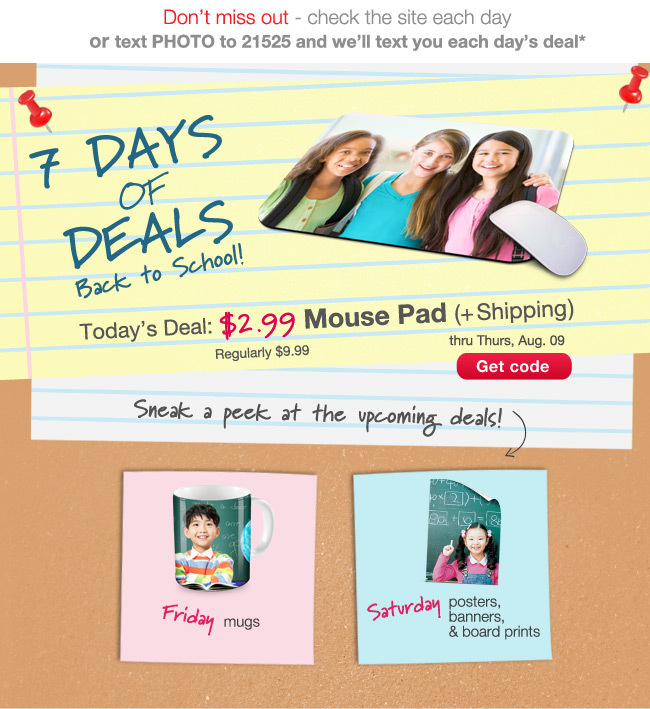 This is a great week for photo deals at Walgreen's. Everyday there will be a new deal. Aug. 5 the deal is a FREE 8 x 10 print. Check back everyday all week for great photo deals. Click here for the deal.